Blog or (807) 548-8002 to secure a spot! Lake of the Woods is back as a priority with the Government of Ontario. Reducing phosphorus to combat blue-green algae is identified as an explicit priority in Ontario's new environmental plan, unveiled by Environment Minister Rod Phillips on November 29. 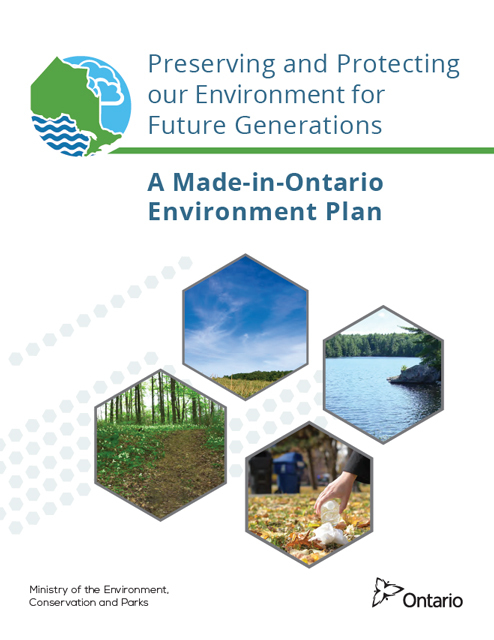 The Lake of the Woods Water Sustainability Foundation applauds the Ontario Government for its recognition and commitment to protect the quality of the Lake of the Woods by continuing to work with partners, on reducing phosphorus to combat toxic blue-green algae. 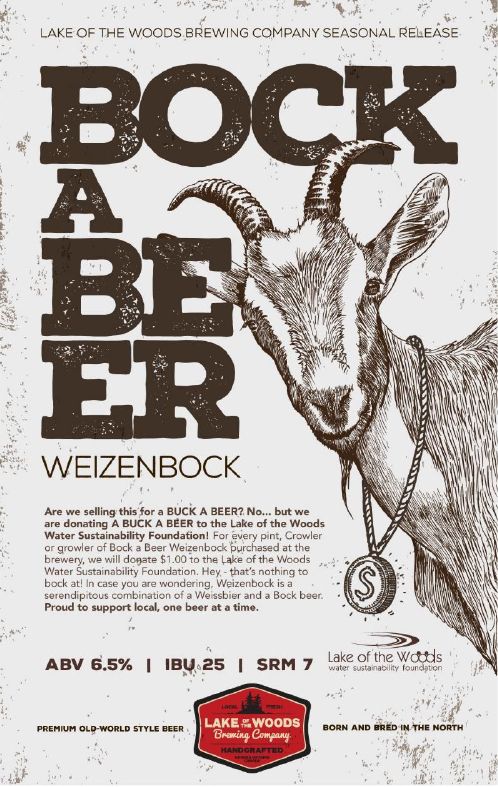 The Lake of the Woods Brewing Company is donating $1.00 from every Crowler and/ or Growler of BOCK A BEER sold in the retail store, to assist the charitable aims of the Lake of the Woods Water Sustainability Foundation. Crafty right? 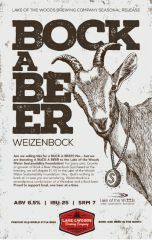 This BOCK A BEER will not last long. Get it now and support the Lake of the Woods Water Sustainability Foundation. Many thanks to the Lake of the Woods Brewing Company for supporting the lake! 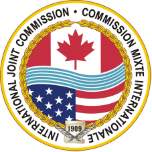 The IJC Rainy-Lake of the Woods Watershed Board is setting its sights on updating Objectives and Alert Levels for water quality and aquatic ecosystem health in our watershed. The existing international Objectives and Aert Levels are outdated and not aligned to current priority issues. Phase 1 of the project started in November and will engage experts and stakeholders to refine priorities and propose needs, options and potential metrics or indicators.